Rocco has it all: a great job in real estate, a hot car and a woman who will do anything for him and loves him unconditionally—his mum. 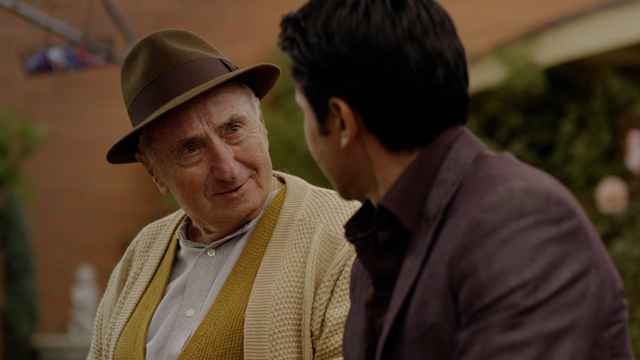 But when he meets the gorgeous Katie, Rocco realises that he needs to make some changes. Enlisting the help of his zany neighbour Mrs. Cotoletta, Rocco attempts to counteract his image as a big mamma’s boy, and to discover the key to Katie’s heart. Combining some of Australia’s best comedic talent including George Kapiniaris (acropolis now), Maria Venuti (pizza) and Costas Kilias (the castle, the wog boy) with sincere storytelling, BIG MAMMA’S BOY is a light-hearted comedy about life, love...and lasagna. 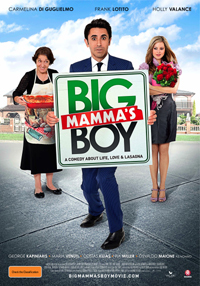 I was thrilled to be involved in Big Mamma’s Boy because I love romantic comedies. The script was funny and charming and had a lot of heart. But of course, I also related to it because of my own Italian family background. I know Matteo from Perth we worked together on the dramatised-documentary I directed called “Hoover’s Gold” about the Italians of the Goldfields of Western Australia. 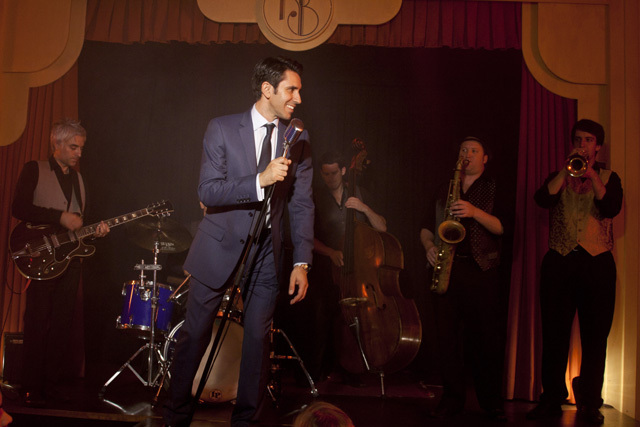 The film which broke ratings records for the Storyline Australia timeslot on SBS. “Big Mamma’s Boy” was a chance to make something incredibly entertaining that represented the Italo-Australian way of life. Franco di Chiera’s shorts Waiting Round Wynyard (1982), La Scala Lo Scalone (1985) and Bad News Bachelors (1990) screened at international film festivals in Sydney, San Francisco, Edinburgh, Newcastle-Upon-Tyne, Munich and Turin. He produced the drama series Under The Skin (1994) which won an AFI Award for Best TV Miniseries/Telefeature. Episode Best Wishes was invited to the Venice International Film Festival. In 2000, he directed the 2 x 100 minute drama Three Forever for producers Rolf de Heer and Domenico Procacci, starring Bud Spencer. His series A Change of Face (1988) generated the highest level of publicity in SBS history and his film The Joys of The Women (1993) had a hit theatrical season nationally. It screened at Festival du Populi in Florence and Bilan Ethnnografique in Paris and was nominated in the 1994 Australian Film Critics Awards. His film No Milk, No Honey (1997) was one of SBS’s highest-rating local productions and Hoover’s Gold (2005) broke ratings records for the network’s Storyline Australia timeslot. He directed the dramatised-documentary Pipe Dreams (2006) which attracted 1.1 million viewers, making it one of ABC’s most watched programs. In 2007, he directed the Ita Buttrose and Dennis Cometti episodes of the first Australian series of Who do you think you are? (2007), SBS’s highest-rating local production ever. Franco’s project The Fabulous Flag Sisters (2008) doubled ratings for the Cult Channel (Fox Italy) and was a major award-winner at RomaFictionFest. He directed the feature-length Death of the Megabeasts, winning two Gold Remi Awards at WorldFest, Houston (2010). His film Skin Deep sold to SBS, Arte France and Rai Italy. Franco has just finished writing and directing Jack the Ripper – Prime Suspect for SBS and UKTV to be distributed by BBC Worldwide. He is currently writer/director of the miniseries In the Mouth of the Wolf based on the life of controversial boxer Rocky Gattelari. He is also attached as director on the comedy feature Going Over by Ted Roberts.